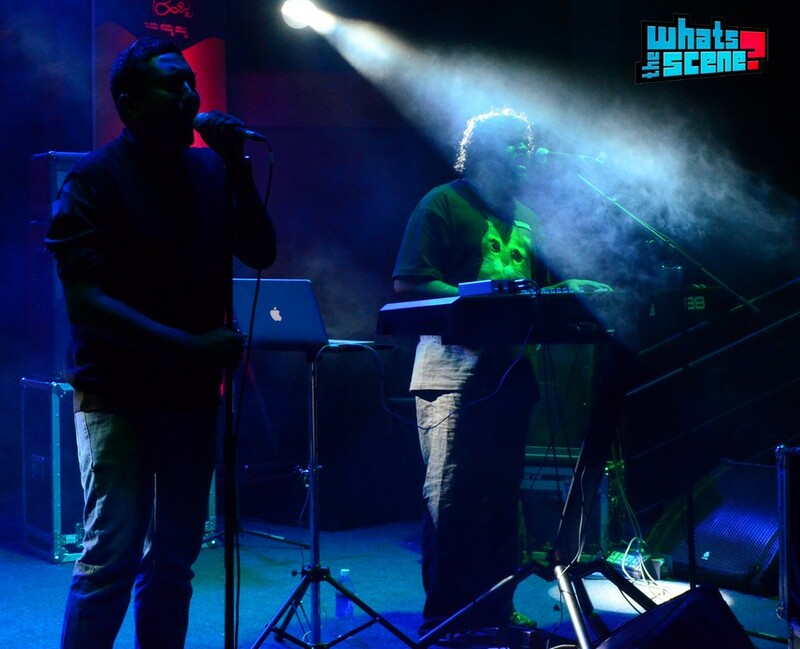 Bhoomi, Caesar’s Palace and TAAQ at the Bengaluru Habba 2012 | WhatsTheScene? First things first – What a venue! The open air amphitheater with the UB City tower looming majestically in the background, and its big bright blue horse logo looking down upon us was quite an amazing sight! And what’s more - for a city perpetually stuck in traffic jams, its habba started dot on time. 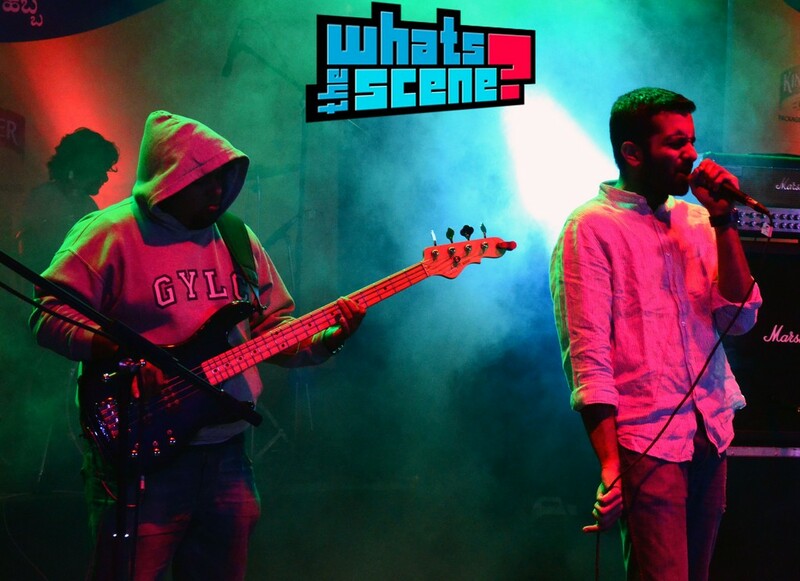 The line-up on this particular evening comprised of metal aficionados Bhoomi, the multi-genre, Bangalore based Caesar’s Palace and Bangalore rockers Thermal and a Quarter who made a surprise entry later. All three of them, veterans of the Bangalore rock scene, took to the stage with the promise of a great Saturday evening and they sure lived up to it. 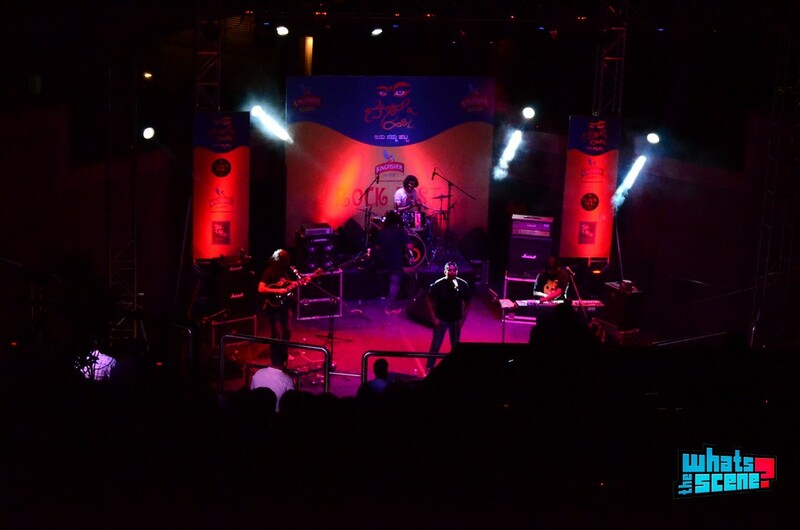 First up was Bhoomi, one of Bangalore’s oldest and best metal acts. They started the evening with their renditions of rock classics like AC/DC’s ‘Highway to Hell’ and Pink Floyd’s ‘Another Brick in the Wall’, and smoothly drifted into Deep Purple land with Jason Zachariah belting out the keyboard solo to Deep Purple’s ‘Highway Star’ and then Tony Das belting out the guitar solo from ‘Burn’, both playing them absolutely perfectly. Though I’m a fan of bands covering songs their own way rather than playing it exactly like it is, I have to admit that Bhoomi’s version of ‘Another Brick in the Wall’ did seem a tad out of place and unnecessarily heavy. Tony Das sang the next song ‘Burn it Down’, a very bluesy number with some great guitar licks. This was followed by another cover, Mr. Big’s ‘Daddy, Brother, Lover, Little Boy’. They finally went into their originals, starting with ‘Inside Story’, a song about the press today and its obsession with the personal lives and affairs of celebrities. It had some great harmonies between Tony and Jason and ended with a really cool guitar-hero solo from the former. Next they played ‘Uncultured’, a song about riots with some really powerful vocals. It had a great vibe and had me replaying “Come help us fight…War without reason” in my head even after they finished. Their last song was ‘The Game’, a song about playing music live (I loved how Sujay bonded with the audience by explaining each song before playing it. Tony thought the better alternative was to chug some beer before each song. I loved that too!) The final track had a great riff, fierce drumming from Kishan Balaji and very eerie vocal harmonies, a powerful song to end their performance. Next up were Caesar’s Palace a rock/funk/blues/soul/jazz/disco/phew! band from Bangalore. They played a very groovy, almost dance-y set of songs. They started with a cover of RHCP’s ‘Readymade’ and soon went into originals starting with ‘3 hour love affair’. The bassist Kenneth Wilson’s getup with his hood and shades (at 8:00 in the night) looked exponentially less pretentious with each note he played as he got them grooves going. ‘Stare’ had some funny lyrics about the cliche` of thinking deeper. Unni, the frontman then announced that they were going to cover Bappi Lahiri and frankly, I was disappointed to know that it was a joke. This is one band that could actually pull it off! They did come close to it though as they played a very 80s disco style original called ‘Get Your Mojo On’. By this time, Kishan Balaji had begun to look like some medieval war hero (read madman) behind his drums. He and Jason Zachariah had battled and conquered every style from heavy metal to funk and now even disco, both of them having played for both Bhoomi and Caesar’s palace. They continued their brand of funk with a sense of humour with ‘Wol Chod’, which had some cool slap bass and screeching wah. ‘Dreams’ had a groove that got the entire amphitheater swinging their heads from side to side and had some interesting guitar and bass harmonies. The song ended with a great keyboard solo. They then went into a very well done medley of Michael Jackson’s ‘Smooth Criminal’ and ‘Don’t Stop Till You Get Enough’ followed by Tenacious D’s ‘Tribute’ that ended with the outro of ‘Stairway to Heaven’ which Unni pulled off perfectly. It was great to see how open minded they are to different genres of music, and not just open minded, but also technically proficient enough to pull off all these varied styles. The highlight of their performance was ‘I Don’t Need No Doctor’ by Ray Charles, done in a modern John Mayer style. It ended with a jugalbandi of sorts between the guitar and keys. Jason then played a beautiful piano solo that quietly blended into ‘Swim’, a lovely ballad. They ended with ‘Bittersweet Mind’, a typical 12-bar blues song but with some exciting odd-time signature twists to it. The night was already going on a high when Unni announced that Thermal and a Quarter was going to take to the stage next and caught everyone by surprise. Thermal and a Quarter or TAAQ , as they are popularly known, consists of Bruce Lee Mani on vocals/guitar, Rajeev Rajagopal on drums and Prakash K.N on bass who happen to be Bangalore’s favourite power trio. This was proven by the fact that despite the fact that it was getting late and terribly cold in the open air amphitheater, the audience didn’t seem to want to be anywhere else. The trio kick-started their set with ‘Can you fly’, a typical TAAQ song with jazzy guitar playing, great vocals and a powerful rhythm section. Their second song was ‘Meter Mele One and a Half’, about the auto-rickshaw drivers in Bangalore. As Bruce Lee Mani sang about the woes of the average Bangalorean, I couldn’t help thinking that the band’s music IS indeed the sound of urban Bangalore. They do sound like UB City at night, like the traffic jams, like Masala Dosas, like an auto-rickshaw’s faulty meter, like Cubbon Park, IT parks and all things Bangalorean. They continued in the same spirit with some “tapang-blues” with ‘If Them’ and ‘For the Cat’ which got few audience members even doing some tapang moves in the front row, as Bruce himself cheered them on! Quite impressive on the part of the dancers I’d say, considering the fact that ‘For the Cat’ had many time meter changes. Their next song ‘Birthday’ was dedicated to Rajeev’s mother as it was the eve of her birthday. And apparently it’s no ordinary birthday song. As Bruce explained, “It’s about wanting my birthday to be a space and not a time. Very deep…very deep!” This was followed by one of my personal favourites – TAAQ’s rendition of ‘Hey Jude’. It amazed me to see how they could take a classic as popular as ‘Hey Jude’, turn it upside down and change it around completely and still maintain the feel of the original. TAAQ’s version of the song has to be heard to be believed! Their last song ‘Chainese Item’ sounded like the theme song to a spy movie where everyone’s running behind a plate of chow mein, for some reason. Or maybe the ridiculously cold breeze was finally getting to me! Thermal and a Quarter were undoubtedly the heroes of the evening, captivating the audience with their distinct sound and energetic performance. Overall, a great gig and a perfect Saturday evening, all three bands providing three different versions of that rock and roll sound we all love. The moral of the story at the Habba’s rock fest seemed to be that rock fests no longer mean copying the west. As the three veterans showed us, rock music in Bangalore today is more about ourselves and all the things that affect us in our lives. It’s more personal and easy to relate to than ever. I think it’s this quality of the music that made it so enjoyable and is making an increasing number of people turn up for concerts like these. 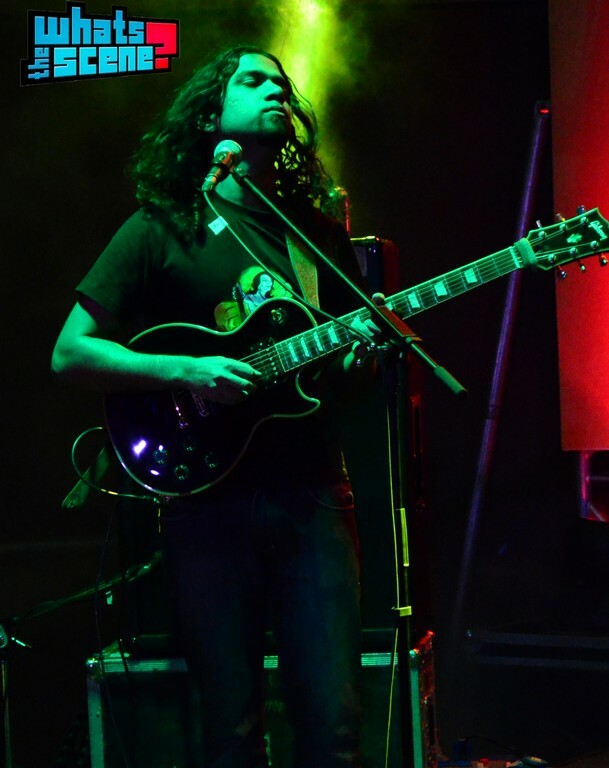 Abhishek Prakash is a Bangalore based guitarist and is a third of local act Groove Chutney. He loves jazz, street food, Woody Allen movies and often pretends to be a writer.